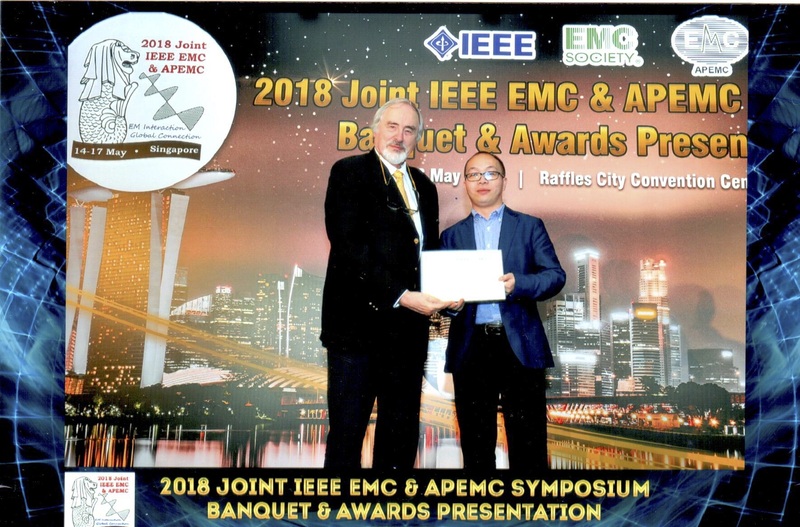 Dr. L. Jiang has received the Technical Achievement Award by the IEEE EMC Society at 2018 Joint IEEE EMC & APEMC Symposium in Singapore last week. The citation is “for outstanding contributions in electromagnetics and multiphysics modeling methodologies for EMC, signal integrity, and power integrity”. The award was presented by the President of IEEE EMC Society at the Award Banquet last Wednesday. The joint IEEE EMC & APEMC Symposium is the largest international symposium organized by IEEE EMC society, the largest professional society in electromagnetic compatibility. 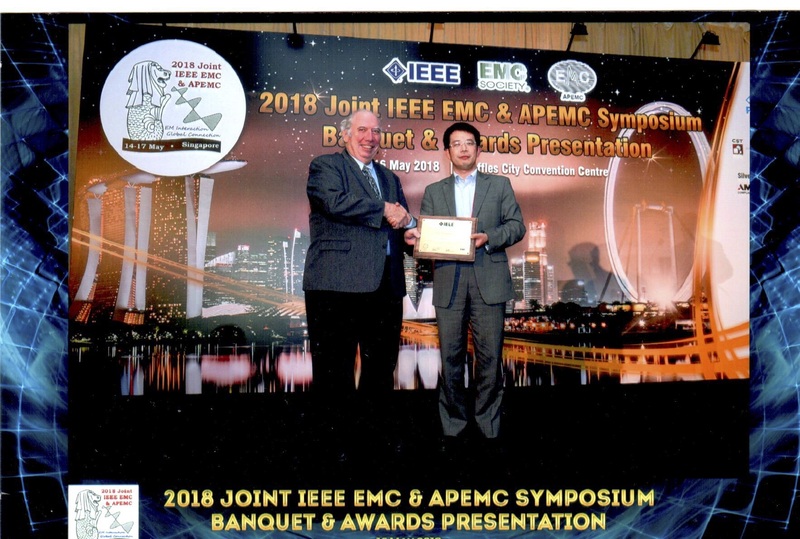 Meanwhile at the same symposium last week, Dr. L. Jiang former Ph.D student, current RAP Dr. Ping Li, received the 2018 Outstanding Young Research Scientist Award by IEEE APEMC. The citation is “for outstanding contributions to computational electromagnetic algorithms for IC EMC”. These prestigious awards are two new additions to a string of awards of Dr. Jiang research team has achieved in recent years. They reflect their diligent academic research efforts and the leadership from the Faculty and Department.